A Beaver in the middle of winter? Here’s something I wasn’t expecting to see when we were out for a walk by the river on the weekend. 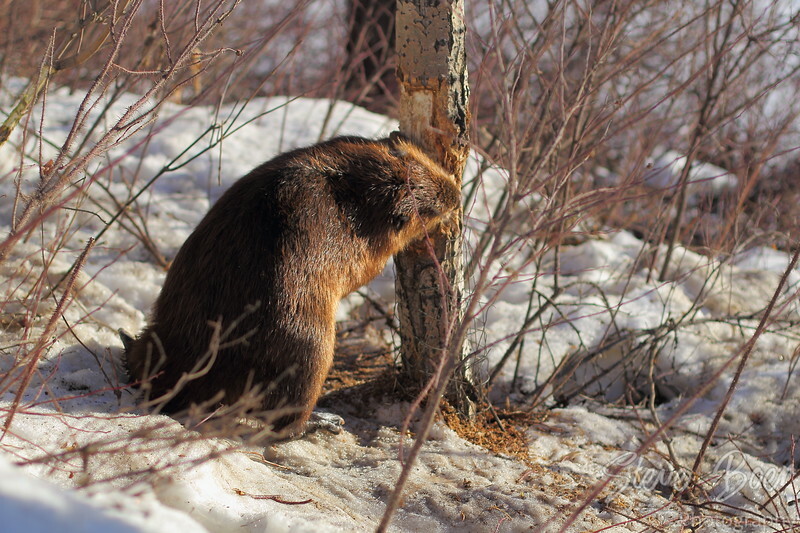 A beaver having a snack on a tree. I guess I’d heard they didn’t really hibernate, but I never really expected to see one chewing on a tree in the middle of January either. Especially with the river being mostly frozen over. He was pretty focused too, he really didn’t seem to care about all the people walking by. Cute beaver! and nice picture! What a great surprise. I really like the photo – you can sense the intensity. Thanks Lyle, it was a surprise alright!